Dr. William Wood retires, or does he? The most striking element of Dr. William Wood's recent morning retirement reception in the JB Whitehead Memorial Room (a different event from the one pictured) was the steady flow of former patients that came to pay their respects, all united in their enduring gratitude to the surgeon who had provided them with hope and comfort during difficult times. Gracious and smiling, Dr. Wood projected the sincere affection reserved for meeting old friends, the epitome of the gentleman surgeon. 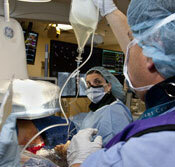 "The magnet to a medical career is the opportunity to relieve suffering," says Dr. Wood. "Surgery provides opportunities to do that acutely, and the love that motivates intense focus, hard work, and long hours on behalf of your patients is more than rewarded by seeing God use your efforts to their relief and benefit." However, absolute retirement appears to be an unrealistic and undesirable option for an acclaimed surgical oncologist who has spent an inordinate amount of time in the OR for the better part of 40 years, witnessed and participated in the evolutionary trajectories of such now-commonplace modalities as minimally invasive surgery and skin sparing mastectomy, secured a global reputation for outstanding contributions to cancer therapy and major influence on the design and meta-analysis of conceptually driven national clinical trials, and mentored literally hundreds of surgical residents. During the past year Dr. Wood accepted appointments as a senior research fellow of the International Prevention Research Institute (iPRI) in Lyon, France, and a board-member of AfrOX in Oxford, the UK. The latter’s mission is to partner with African countries to implement comprehensive cancer prevention and control programs, while iPRI is dedicated to the improvement of health in populations worldwide by identifying critical issues in disease determination and prevention. "My wife said it doesn't sound like retirement to her," laughs Dr. Wood, "and that was before I told her that I would also be teaching African surgical trainees under the joint auspices of the Department of Surgery’s Global Health Program, Emory’s Global Health Initiative, and the Hubert Department of Global Health of the Rollins School." Admittedly, the momentum Dr. Wood has sustained throughout his career would be difficult to tame. A graduate of Harvard and MGH, he held a variety of faculty appointments at both — including Medical Director of the Cancer Center and Chief of Surgical Oncology — before coming to Emory in 1991 to serve as J. B. Whitehead Professor and Chairman of the Department of Surgery, a position he held until February 2009. When Dr. Wood arrived at Emory, there were no NIH funded grants in the Department, but by the time he passed the Chair to Dr. Chris Larsen in February 2009, the Department had risen to the 5th leading academic department of surgery in NIH funding nationwide. Dr. Wood was also instrumental in establishing the Emory Endosurgery Unit, one of the first programs of its type in the country to gradually legitimize and refine laparoscopic surgery and the first to sponsor a laparoscopic fellowship. 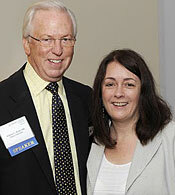 Off-campus, Dr. Wood was as productive and influential as he was at Emory. A sampling of his achievements includes chairing the Intergroup Committee of Cooperative Group Breast Cancer Chairs of the NCI from 1991-2008; co-chairing the Early Breast Cancer Trialists' Collaborative Group, Oxford, 1995-2011; sitting on the Board of Governors of the American College of Surgeons, 1998-2005; serving as Editor-in-Chief of Oncology, 1999-2009; being the North American editor of the 2nd edition of the Oxford Textbook of Surgery, published in 2000; receiving the 2005 James Ewing Award of the Society of Surgical Oncology and the 2007 Statesman Award of the American Society of Clinical Oncology; and serving presidential terms for the Society of Surgical Oncology, Southeastern Surgical Congress, Georgia Surgical Society, and the Atlanta Surgical Society. After leaving the chairmanship, Dr. Wood remained at The Emory Clinic and re-intensified his focus on scholarly activities related to innovation in cancer treatment. While finally moving on from the clinic as well, his presence as an advisor, teacher, and investigator on the international stage will continue unabated. "Emory provided the opportunity to advance the field of surgery in the company of a growing and splendid group of colleagues, singularly gifted trainees, and a committed and caring staff, all on behalf of wonderful patients, each of whom came with their very unique background and devoted family members," says Dr. Wood. "What great fun!" The adult cardiac surgery component of the Society of Thoracic Surgeons (STS) National Database includes more than four million surgical records generated by approximately 90 percent of the more than 1,100 cardiac surgery groups in the U.S., making it the largest such registry in the world. Participating groups add data on a quarterly basis, providing an up-to-date account of their surgical practice and outcomes that can then be used to benchmark their performances and develop quality improvement measures and standards of practice. In 2011, the STS announced that these groups could voluntarily report their Database ratings for bypass surgery on the STS website and in Consumer Reports. The cardiothoracic surgery program at Athens Regional Medical Center (ARMC), a Database participant since Emory surgeons began staffing the program in 2008, was one of the 323 groups from 44 states that published its rating in Consumer Reports’ September edition. "We received the highest ranking of three stars, placing us in the top 10-to-15 percent of bypass surgery programs in the country," says Dr. Cullen Morris, medical director of ARMC's cardiothoracic surgery program. "This emphasizes that people in Athens don't have to travel outside of the city limits to get world-class heart surgery treatment." While the ARMC program's rating, the highest in the state, was based on the surgical groups' overall performance, level of complications, and other quality measures in heart bypass surgeries, Dr. Morris is quick to point out that successful programs rely on more than just the surgeons. "The rating is a distinction that shows just how hard all of our doctors, nurses, staff, and administrators work to ensure good patient outcomes," he says. "Regardless of the treatment plan, close collaboration between cardiologists, cardiothoracic surgeons, and exceptional hospital support staff is essential in critical cases." 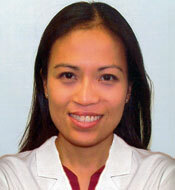 Dr. Morris' primary Emory surgical colleague at AMRC is Dr. Theresa Luu, who trained exclusively at Emory, went into private practice with Wellstar Thoracic Surgery Associates, PC, in Marietta, GA, for two years, and joined Emory in 2010. The American Cancer Society's South Atlantic Division has awarded a generous grant to Northside Hospital for a pilot program aimed at improving the quality of care for breast cancer patients. The goal of the grant is to eliminate barriers to effective breast cancer care by combining patient navigation with an innovative patient management data base called the Rapid Quality Reporting System (RQRS), which is designed to promote evidence-based cancer care at the local level. 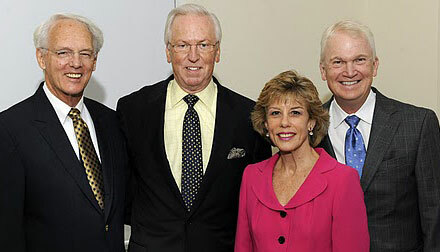 The grant will facilitate collaboration between Northside, which is a National Cancer Institute Community Cancer Centers Program (NCCCP) site, and the Winship Cancer Institute of Emory University, Georgia's only NCI-designated cancer center. "RQRS links hospital staff with individual patients who are at risk of 'falling thru the cracks' or experiencing treatment delays that decrease the quality of care received," says Dr. Theresa Gillespie, co-director of the health disparities initiative at Winship and the grant's principal investigator. "This pilot represents a new and important collaboration between two NCI-funded centers and effectively merges our strong interests in and commitment to reducing cancer health disparities, particularly for breast cancer patients." Developed by the American College of Surgeons Commission on Cancer (CoC), RQRS offers a web-based data collection and reporting system that interfaces with the hospital's own cancer registry operations, providing Northside's patient navigators with near real-time information on their breast cancer patients. By forwarding RQRS alerts directly to the navigators, Northside staff can more effectively assist patients who are experiencing delays to treatment or other barriers to care. The system is now being tested under real-world practice conditions in about 65 CoC-approved cancer programs nationwide, including 30 in the state of Georgia, and will soon become a fully integrated feature of the National Cancer Data Base, to which Northside and all other CoC-approved facilities report patient-level data. For more than a year Dr. Nicole Turgeon, director of the clinical islet transplant program of the Emory Transplant Center, has been collaborating with Dr. Kevin Kim, director of interventional radiology and image guided medicine, on developing a protocol involving an interventional radiology procedure as a minimally invasive islet transplant solution for patients with "brittle" or unstable type 1 diabetes. 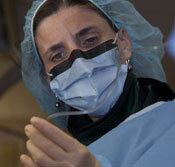 She also conferred with other centers that had substantial experience with the procedure. Finally, in late July, she and Dr. Kim performed the first such procedure at Emory in the interventional radiology suite at Emory Hospital, not the operating room. The 42-year-old patient, Julie Allred, had struggled with type 1 diabetes since she was ten. "Our protocol is designed to treat patients who have had type 1 diabetes for at least five years and have experienced severe hypoglycemic unawareness, which unpredictably causes unconsciousness," Dr. Turgeon says, who is the study’s PI. "We’re able to perform this type of transplant because of Dr. Kim's expertise in image guided treatment of liver tumors in the interventional radiology suite and Emory’s experience in islet transplantation and the development of new treatment regimens to protect transplant grafts from rejection." Performed under moderate sedation, the procedure requires less than a quarter-inch incision in the patient's right side rather than the two-to-three-inch incision in the abdomen used for the conventional, open method of islet transplant. Guidewires, catheters, and a central line are then threaded through the incision into the portal vein, which leads into the liver. Under image guidance, the fragile islet cells are selectively and accurately infused directly into the liver for implantation and to begin making insulin. Rather than stitches, a bandage suffices for the incision area. Mrs. Allred experienced no side effects and took only one pain pill following the transplant. An insulin pump is still necessary to protect the islet cells during the recuperation period, though Mrs. Allred gradually tapered her insulin from about 50 units per day pre-transplant to eight-to-eleven units per day four weeks post-transplant. Like any other transplant recipient, she must take immunosuppressant medications to prevent rejection. 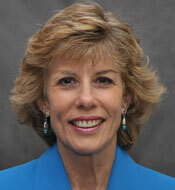 Dr. Sheryl Gabram received an Outstanding Performance Award for going above and beyond the scope of her normal duties of serving as a Cancer Liaison Physician (CLP) between the AVON Comprehensive Breast Center at Grady Memorial Hospital and the American College of Surgeons Commission on Cancer (CoC). As a CLP, Dr. Gabram is serving a three-year appointment and is among a national network of over 1,600 volunteer physicians who are responsible for providing leadership and direction to establish, maintain, and support their facility's cancer program. CLPs are an integral part of cancer programs accredited by the CoC. Dr. Chris Larsen and Dr. Kamal Mansour were named to the "175 or So Emory History Makers" list that was compiled for Emory’s 175th Anniversary. Dr. Larsen was cited for his transplant research and leadership, Dr. Mansour for his cardiothoracic surgery practice and humanitarian efforts. Drs. Charles Staley, Omar Lattouf, and Mark Wulkan were promoted to Professors of Surgery; and Drs. Keith Delman, Brian Kogon, Martin Steed, Gary Bouloux, and Monica Rizzo to Associate Professors of Surgery. Dr. Lily Yang is the PI of "Targeted Therapy of Triple Negative Breast Cancer Using Theranostic Nanoparticles," which has received a five-year NCI R01 Grant. The study's goal is to develop a comprehensive therapeutic approach that combines targeted preoperative adjuvant therapy and image-guided treatment and surgery for preventing local recurrence and distant metastasis in TNBC patients. Prior to assuming her position with the Department of Surgery as an Assistant Professor in the Division of Transplantation, Rachel Patzer, PhD, MPH, was a program coordinator on quality improvement projects for dialysis patients and facilities for End Stage Renal Disease Network 6. She also worked as a medical writer. Her primary responsibility will be to advise students, residents, and faculty on research study design and analysis. 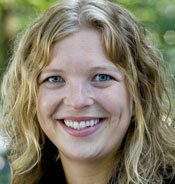 Dr. Patzer obtained her PhD at Emory and her MPH at Rollins School of Public Health; both degrees are in epidemiology. Her primary research focuses on the role of poverty and race in solid organ transplantation, and she has additional interests in healthcare quality and outcomes within the transplant population. Her previous research examined the demographic, clinical, and socioeconomic factors associated with racial disparities in access to renal transplantation and with outcomes such as graft failure, mortality, and hospital readmission. Runners and walkers, take your mark on October 15 for Atlanta’s newest 5-K. The Winship Cancer Institute of Emory University will hold its inaugural "Winship Win the Fight 5K" on Saturday, October 15, 2011, to unite the community in the fight against cancer. The run/walk will begin at 8:00 AM at Emory University's McDonough Field complex on Asbury Circle on the west side of the Emory campus. Registration is $25. Day of race registration opens at 6:30 AM and ample parking is available at no charge in the Peavine Parking Deck on campus. Participants can organize teams or raise funds in a variety of ways and direct their fundraising efforts toward the Winship cancer research program of their choice. 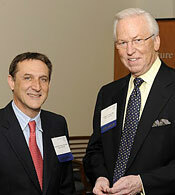 "Every dollar makes a difference," says Walter J. Curran, Jr., MD, executive director of the Winship Cancer Institute. "We very much appreciate the trust our patients and their family members put into Winship, and community support makes a tremendous difference in our cutting-edge research against this disease." The Winship Win the Fight 5K is USTF-certified, making it a Peachtree Road Race qualifier. It is the only metro area 5K to be held in historic Druid Hills, one of Atlanta’s most beautiful neighborhoods. Runners and walkers will be able to enjoy the tree-canopied streets of the neighborhood, which should be dressed in autumn regalia for the event. To register or for more information, log on to http://winshipcancer.emory.edu/winship5k. Juvenile Diabetes Research Foundation Walk to Cure Diabetes Oct. 15 & 16, 2011 Two local events, one at Centennial Olympic Park (Oct. 15) and the other at State Farm Park in Johns Creek (Oct. 16). Register online.